The Shakespearean Authorship Trust, in collaboration with Brunel University, hosts an advance screening of a major new authorship documentary, Last Will. & Testament at Shakespeare’s Globe on Sunday 27 November. 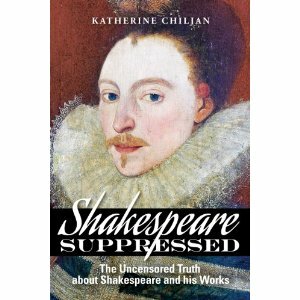 At a time when the Shakespeare world is being rocked by the imminent appearance of Roland Emmerich’s feature film, Anonymous, as well as the publication of several books based on new research, including Richard Roe’s The Shakespeare Guide to Italy and Katherine Chiljan’s Shakespeare Suppressed, there comes the first major documentary on the authorship question for 22 years. The timing could not be better, and we are very fortunate to have the film’s director Lisa Wilson with us to introduce the work and answer questions on it. (Lisa was also a consultant on Anonymous, and is a trustee of the SAT.) She will be joined by no fewer than seven luminaries who took part in the documentary: Diana Price, author of Shakespeare’s Unorthodox Biography, Professor Roger Stritmatter of Coppin State University in Baltimore, actors Sir Derek Jacobi* and Vanessa Redgrave*, the Chairman of the SAT, Mark Rylance, Dr. William Leahy, Head of the School of Arts at Brunel University, and Charles Beauclerk, author of Shakespeare’s Lost Kingdom. Last Will. 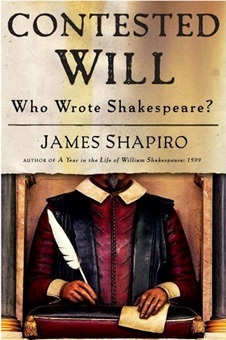 & Testament is a 90-minute film that explores the evolution of the authorship question since Shakespeare’s time, with particular reference to William Shakspere of Stratford and Edward de Vere, 17th Earl of Oxford, though other candidates are discussed. Among those defending the orthodox position are Stanley Wells and Jonathan Bate, both of whom were invited to speak at the conference. The documentary is beautifully shot and has exclusive access to footage of Roland Emmerich’s Anonymous, which is due for general release on 28 October 2011. The film will be shown in three parts in order to give conference attendees proper time to digest and discuss the material as the day unfolds. It promises to be a fascinating and provocative experience, with plenty of opportunity for the audience to engage with guest speakers. “One of my favourite historical dramas is Amadeus. But when you analyze Amadeus, not much of it is true as it is depicted in the film “¦ That’s why we chose Richard III in Anonymous. The historical Richard III was not a hunchback. Shakespeare made him a hunchback for dramatic reasons. So, if Shakespeare, as Emmerich paints pretty convincingly, was a fake, one wonders how much longer it will be before this is accepted as a matter of convention. “I think Stratfordians will have a hard time in the coming decades,” he said. “Don’t forget, the people saying that this is nothing more than a conspiracy all have something to lose. They are all history professors living in Stratford.